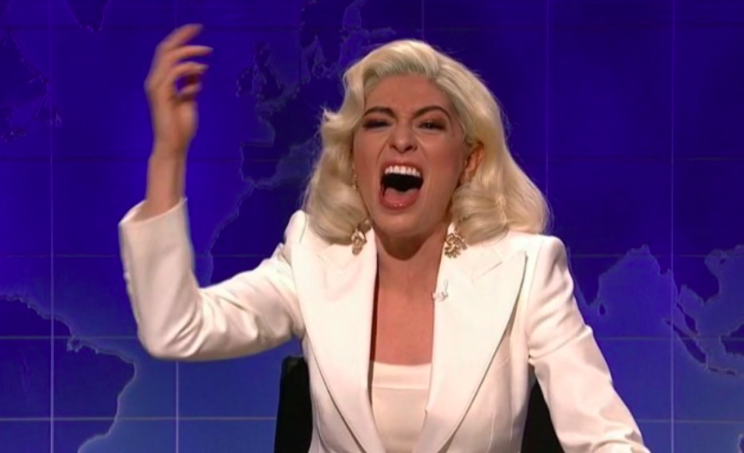 The 31-year-old actress, comedian and impressionist debuted her impression of pop star Lady Gaga during the “Weekend Update” segment of Saturday Night Live. Kyle Mooneyalso made a brief appearance as Bradley Cooper‘s Jackson Maine for the duet. It’s the latest impression on SNL for Villaseñor. Her other impressions on the NBC sketch show include Winona Ryder, Wanda Sykes, Ariana Grande, Celine Dion and Alexandria Ocasio-Cortez.